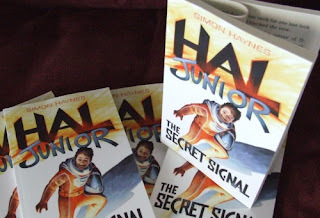 At the end of September I received my first copies of Hal Junior. I took pics, then realised I'd misplaced the XD card reader for my camera. 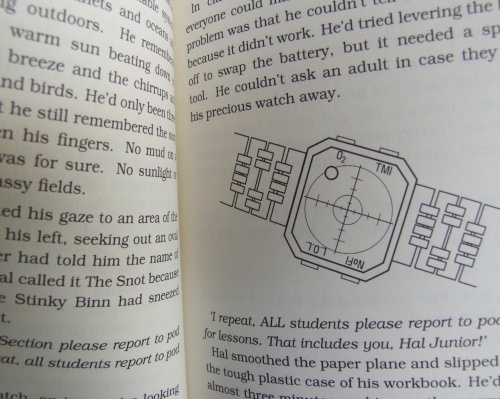 I spy that curled up page! Tut, tut. For purely artistic reasons ;-) I think I saw Bevan McGuinness doing that with his books first - makes them stand up nicely for a display.